December 6th: Mystery Lady Night - woolie friends welcome! We have some beautiful NEW woolie kits out! 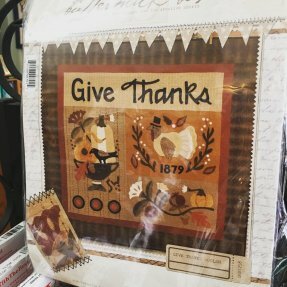 Check out this Give Thanks by Buttermilk Basin. These big pieces will sew up quick! 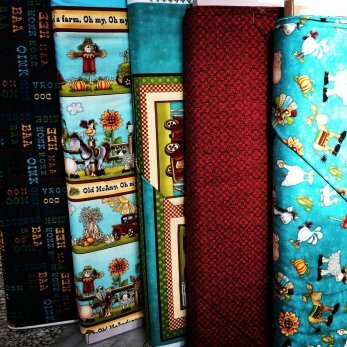 Old McAnderson had a farm...and on his farm he had some quilt fabric! Check out this fun line from Henry Glass & Co. featuring fun farm animals and a quiet book panel! 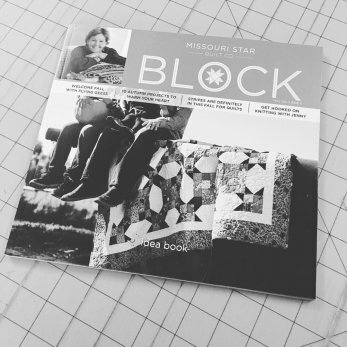 Also, NEW in the latest issue of BLOCK magazine. This issue is jam packed with fun fall projects to warm your heart! Stop by and grab your issue today! Mark your calendars for an upcoming event - Tasting on the Bricks! December 2nd & December 3rd, grab a punch card at a local participating business, get it stamped at all the shops, then be entered to win one of many prizes! This is also our anniversary weekend...so stay tuned for some AwEsOmE savings! 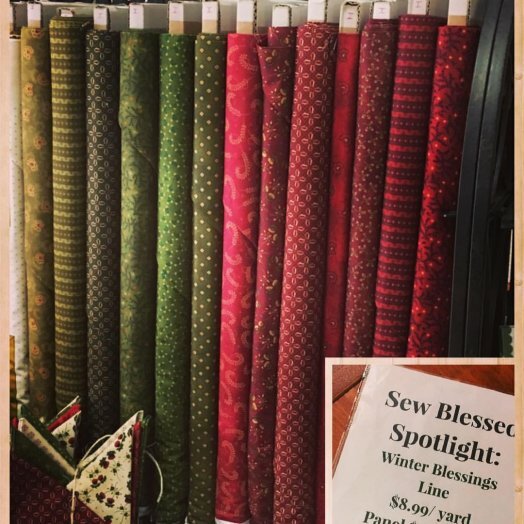 Check out this month's Sew Blessed Spotlight! The beautiful Winter Blessings Line by Kim Diehl is featured at $8.99 per yard! Don't forget to check out the darling panel, where you can make two stockings and a door hanger! 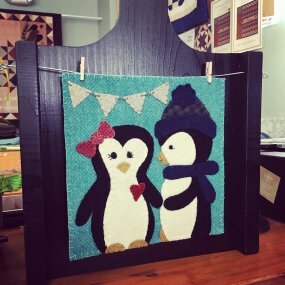 This weekend is Woolie Saturday - so grab a friend come on by and work on your current project or come learn wool applique. Who knows the woolie bug just might get you too! Have a blessed weekend!